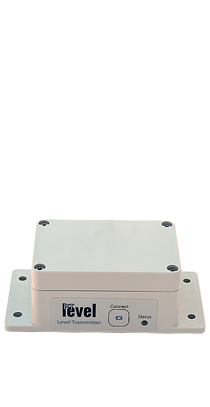 PTLevel - The ultimate liquid level monitor for your cistern and more. Turn your well or cistern into a cloud well or a cloud cistern. 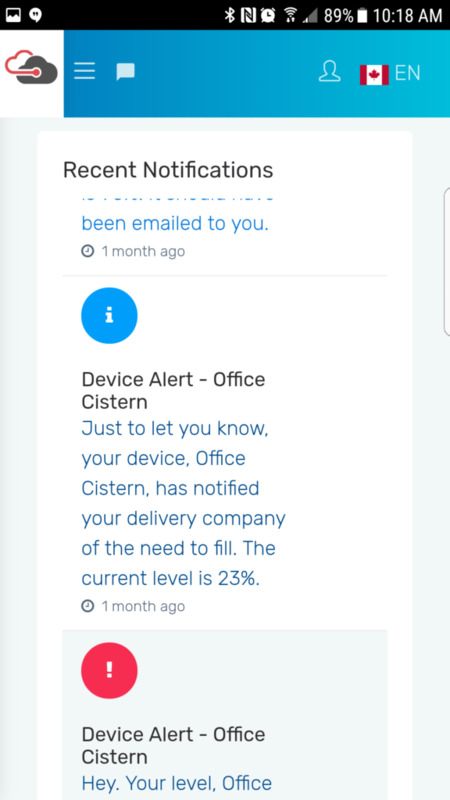 Access your level information anywhere and on any device. 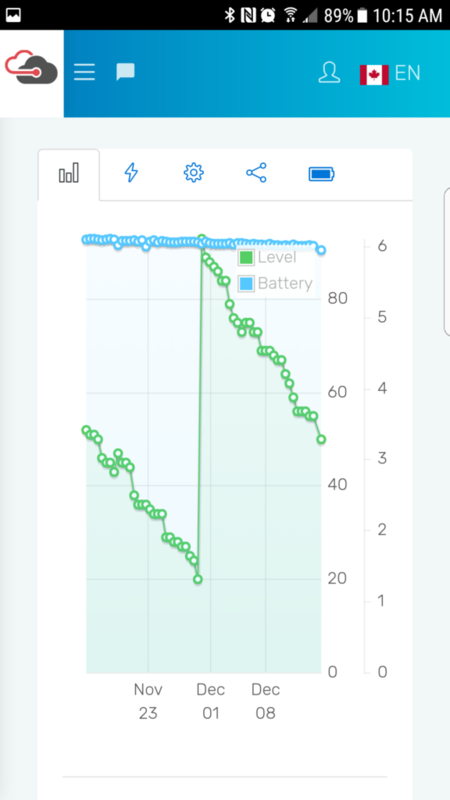 Monitor your level from your phone, computer, tablet, tv, and more. 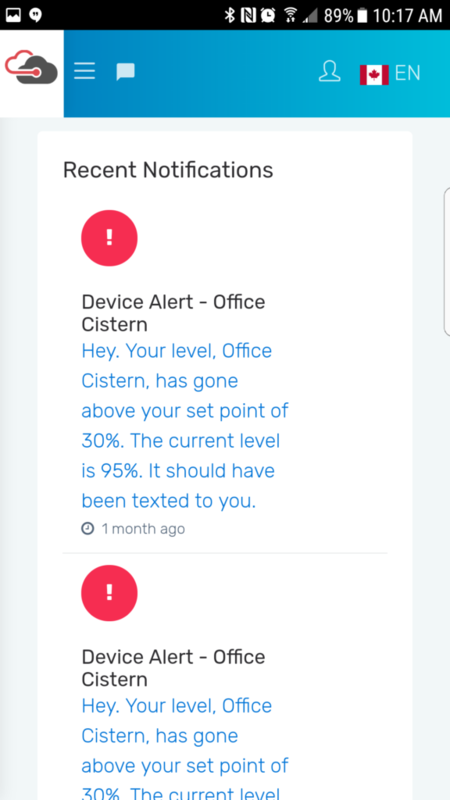 Be alerted at any set point by sms or email. It is simple to setup in your account. 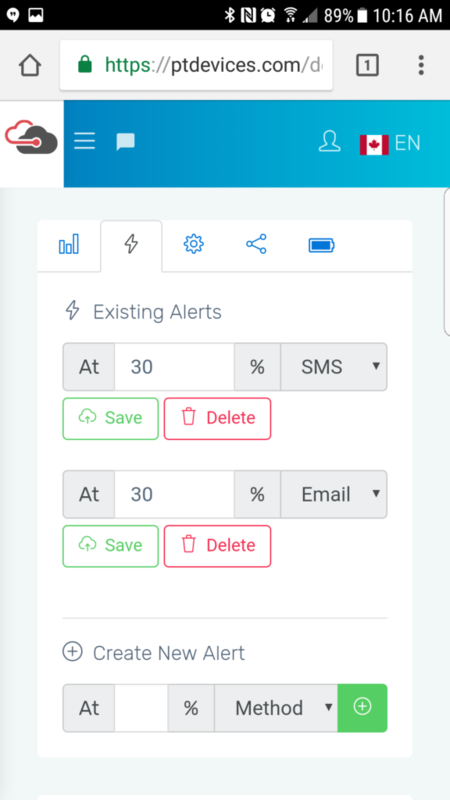 A PTDevices account is free which includes all the needed features for your device. 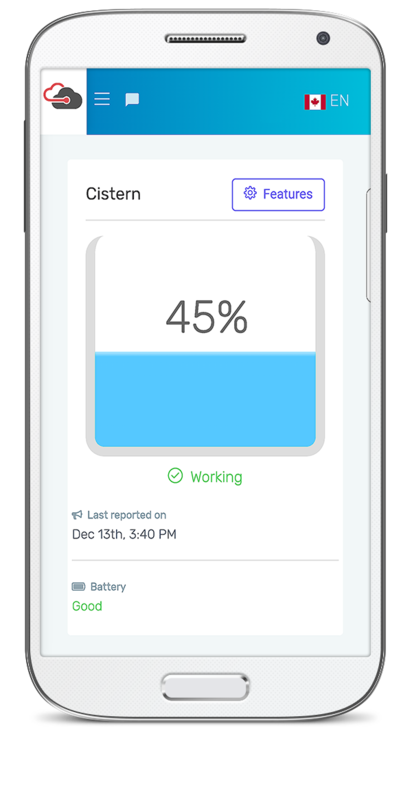 View your usage history over time to see how you've been saving on water, or see when your delivery company delivered. Share your level easily with your delivery company. They will be able to monitor your levels for you. Know the volume and order your precious water when actually needed. No more guessing which could cut down on costly delivery charges. Finally, we have the Wireless PTLevel available! 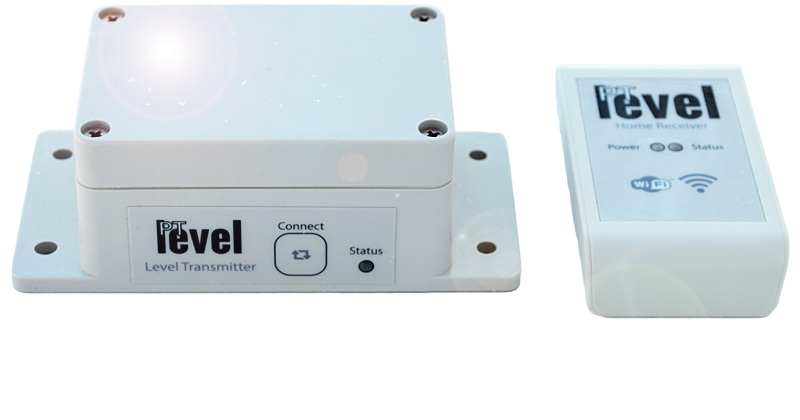 Super long wireless range between a transmitter and receiver, long battery life on 4 AA batteries, durable and sleek design, and best of all, a SUPER easy and fast installation. 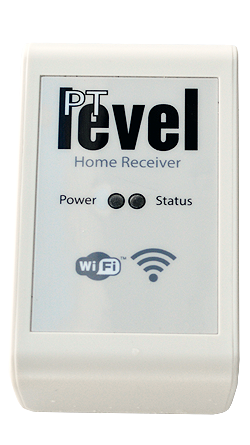 Connect the PTLevel to your existing WiFi home signal in just a few minutes. Place the PTLevel transmitter outside however far your cistern or tank is. 1km line of site range! Lasts a long time on 4 AA batteries to give you peace of mind. This device is as simple as it gets. 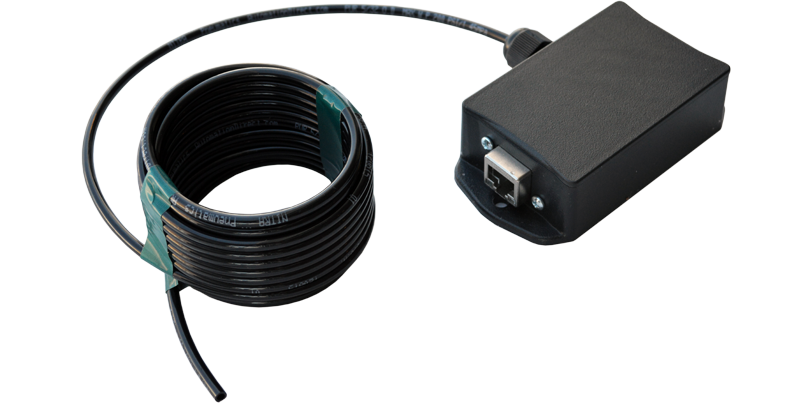 All you need to do is run an ethernet cable, mount the device on your tank, and connect it to your account. With a little effort and a lower price, you'll be monitoring your cistern/well/sump/chemical in no time at all. Hi Mike, just wanted to say "awesome product!" We purchased one wireless unit for home and one for work from you guys a few months ago. Both my staff and wife loves it as the built-in "alerts" to our mobile devices makes this a "surprise-free" experience. Everyone with a water cistern should have one. We appreciate the small business customer engagement and timely support & service. Thank you! PT monitor is a God send! I had the cistern filled before I left and i went away with piece of mind. Such a great invention! This has been awesome so far! We have already saved ourselves a delivery, and this year with the PTLevel, we should be able to save $600.00! This pays for the PTLevel within the first two months! Thanks Mike! I should have bought it earlier! 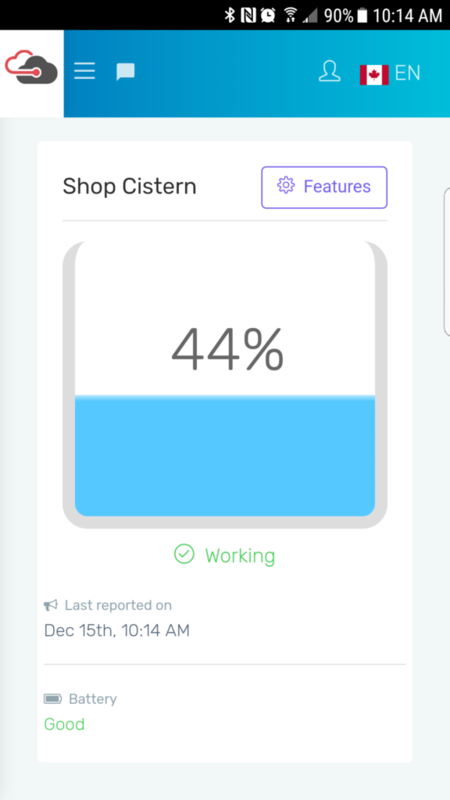 At the convenience of my phone I can monitor my water level!!!! This helps me to see how much I am using, on a daily basis, with a house of 4. I love how I can set email alerts for when my level is getting low and when it's full from our rain water. That helps fill it as well! It helps save my time to run outside and check it and money as I will be able to conserve when I know I'm getting low and can't order water if it's the weekend! It's a reliable asset and anyone with a cistern should invest in one! You won't be disappointed! Install was a breeze and seems to be working great, this will make it much easier to monitor. Thanks.